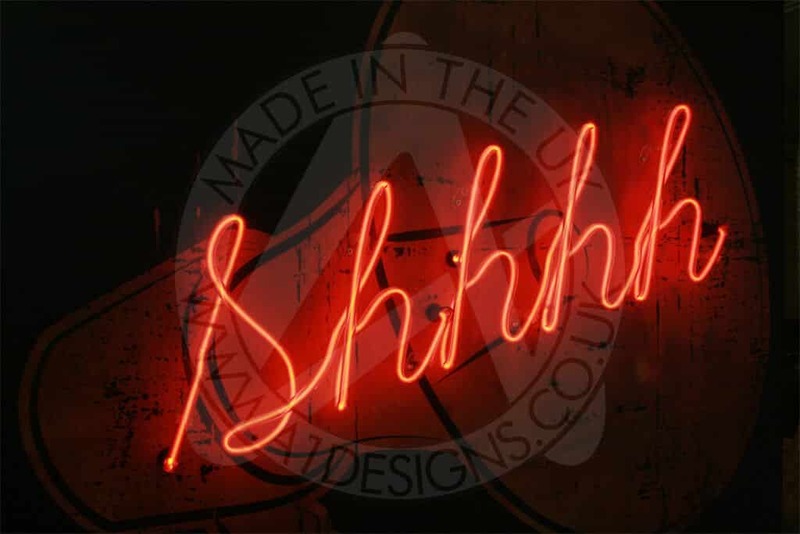 A1deSIGNS will help you to create your own neon sign, using neon letters to form your favourite words. We can customise the size, font and letter style to create a neon letter sign you love. Names, places, branding, offers, business services and slogans are extremely popular, with many of our customers asking about ways they can ‘grab attention’. Without talking or physically touching someone, one of the best ways you can grab someone’s attention is with a neon word light. The glowing lights instantly catch the eye, turning the heads of those close by. 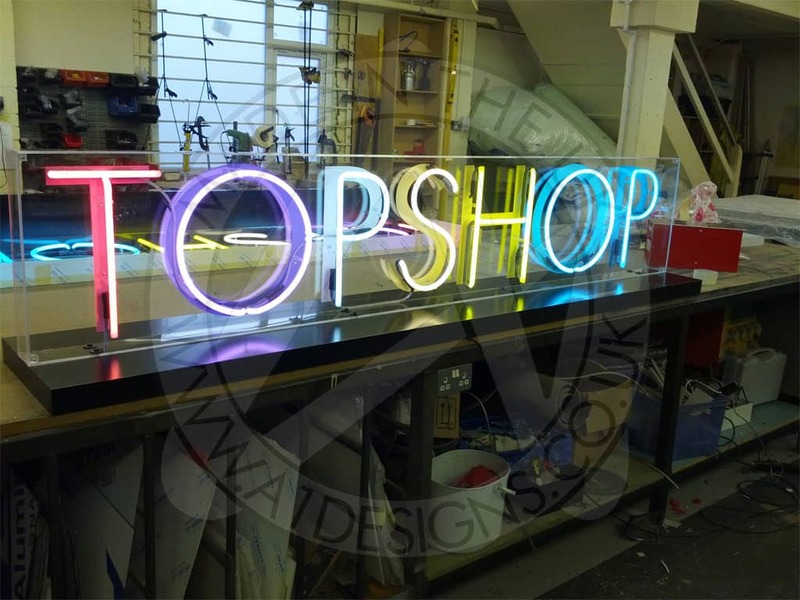 Our design and manufacture service involves working closely with our customers to produce neon letters or wording. We have years of experience specialising in the art of neon signage, working with a diverse range of clients from across the UK. In the past, we have produced neon letters for bars, restaurants, shops, hotels, car garages, offices and homeowners. Our neon letter signs can be used to light up walls, windows and doors. They provide the perfect opportunity to attract new business or make a room shine bright. If you have an idea in your head for how you would like your neon letters to look, we can work with you to get the concept looking right. We will use your chosen/favourite font to produce a design concept that matches what you have in your mind for how you would like your lettering to look. We will show you your designs and make sure you are totally satisfied before we start the manufacturing process. This way we can be sure that you will receive a finished product you are happy with. Designing custom neon letter lights should be fun and easy, so we aim to make the process as smooth and hassle free as possible. If you have any questions, we will answer them. If you have any special requests, we will do what we can to tailor our service to you. Whether you want neon letters for home or for work, we will do all we can to help. A lot of our customers have a particular font they use for branding purposes. They like to follow the same theme across the company and therefore require lettering that uses the very same font. 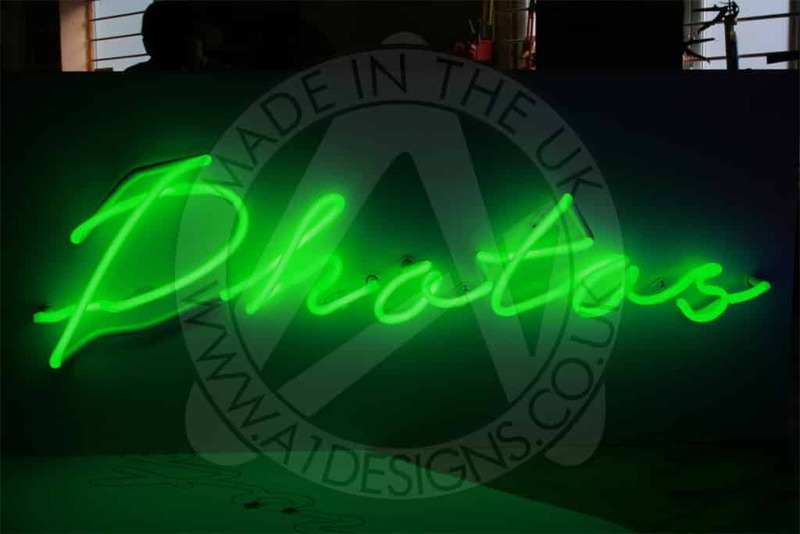 We can produce neon letter signs in a wide range of fonts to suit your needs. So if you have a specific font you would like to use for your letters, we can work to your requirements. If you know the font and the letters you would like to use, we can get the ball rolling. Are you looking for Vintage Neon Letters? We can design and create vintage style neon letters. Although the letters themselves aren’t truly vintage, we can replicate wording or letters to create a sign with a vintage look about it.